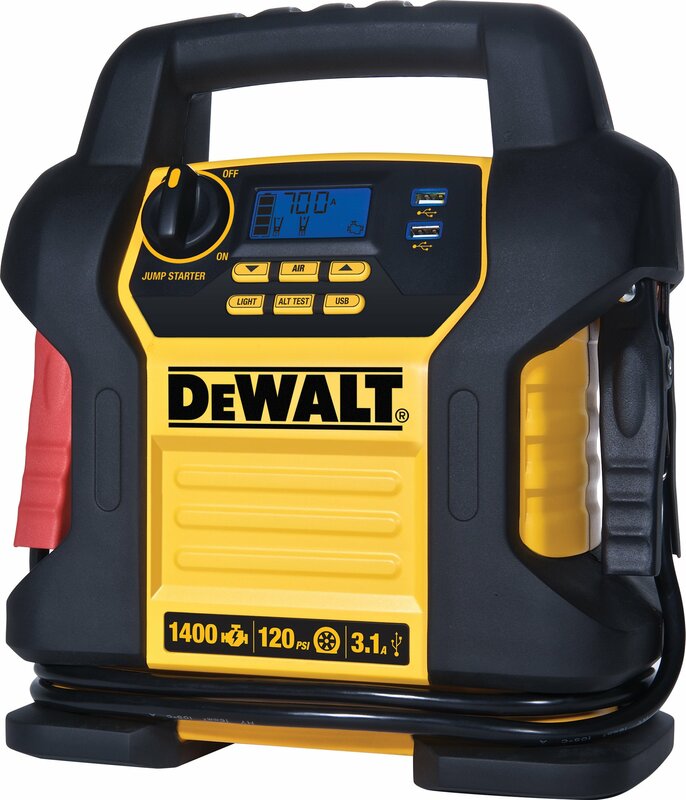 With the DEWALT DXAEJ14 jump starter and power station, you no longer need to dread roadside emergencies when your vehicle won’t start. 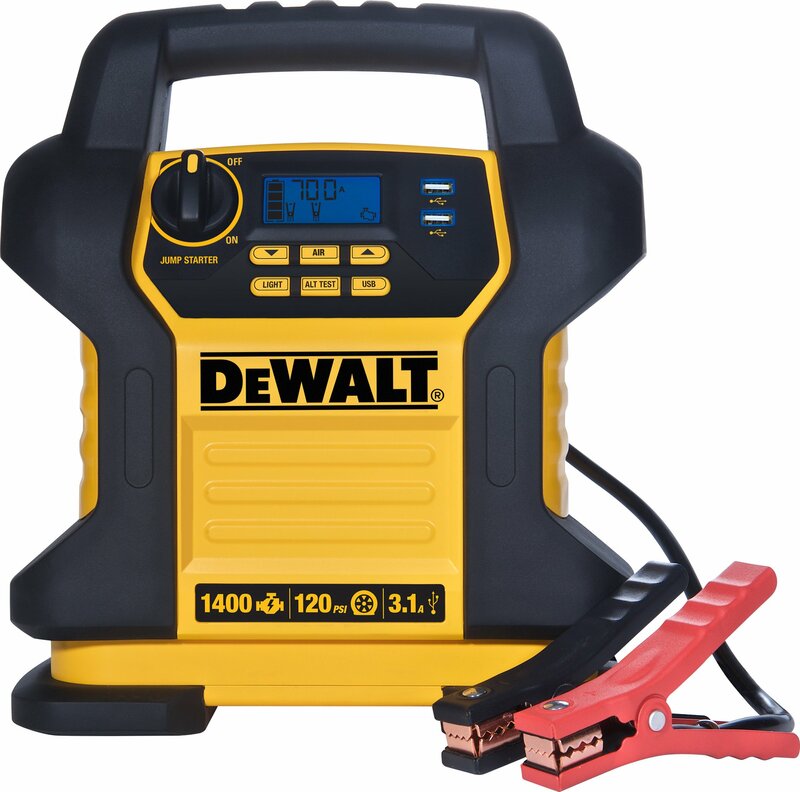 This compact, portable device will test your alternator to make sure it is in proper working order and delivers serious jump-starting power with 1400 peak amps and 700 instant starting amps. 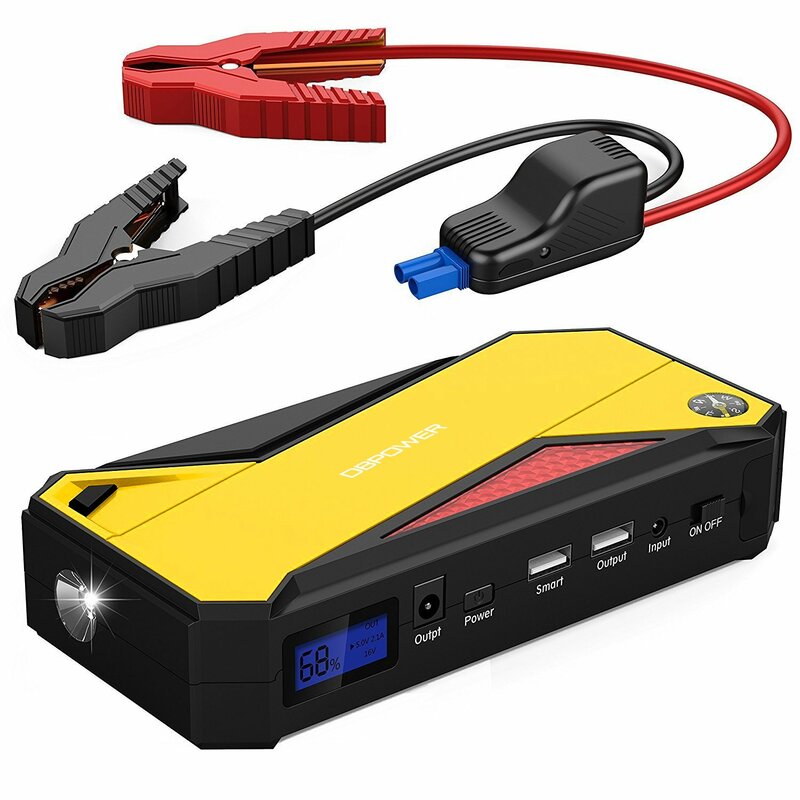 That’s enough power to jump-start a 12 volt AGM, GEL, and WET battery in your car, truck, SUV, motorcycle, boat, RV, ATV, or tractor; all without the need to use another vehicle for assistance. 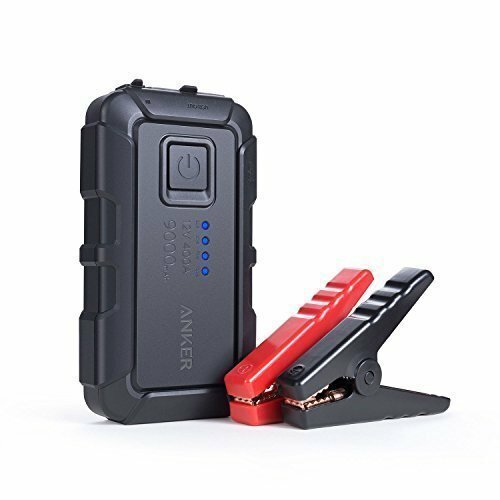 Simply connect the clamps to the battery, turn on the switch and start your vehicle. The reverse polarity alarm will alert you when there is an improper connection. 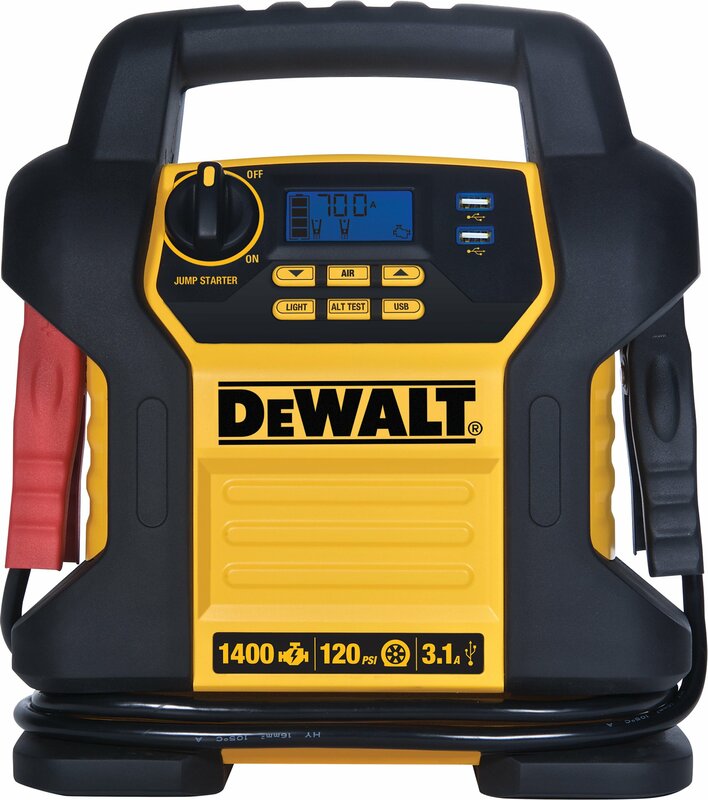 A high-powered LED light and LCD screen readout with real time information helps you work in the dark. 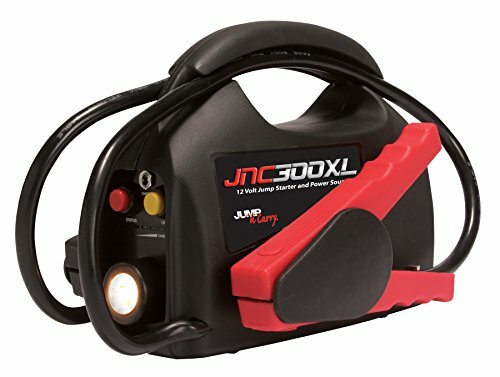 This jump starter is equipped with a digital 120 PSI air compressor with auto stop and Surefit nozzle to help inflate tires that have low pressure. 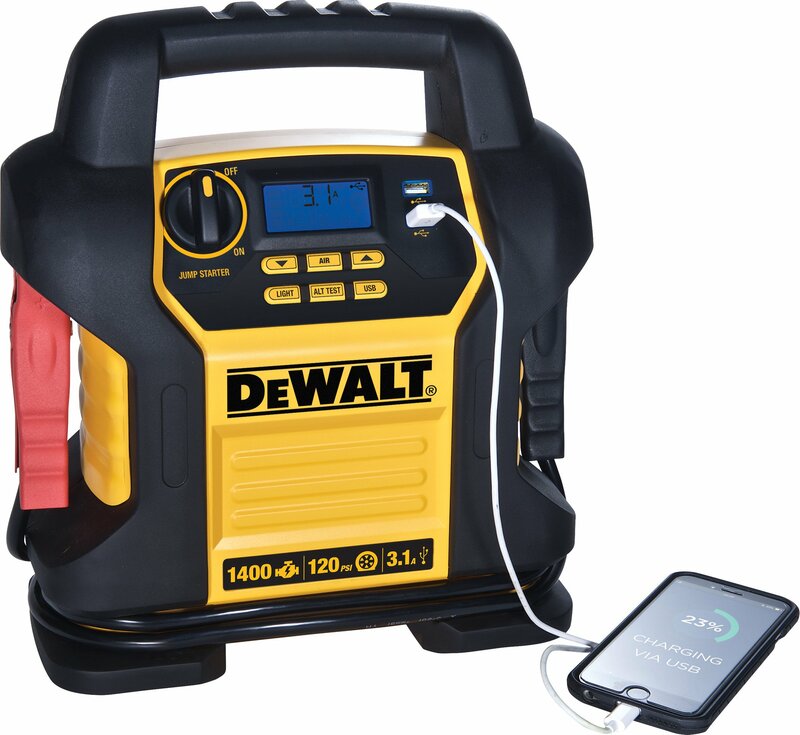 The built-in USB ports come in handy to charge your phone and electronic devices. 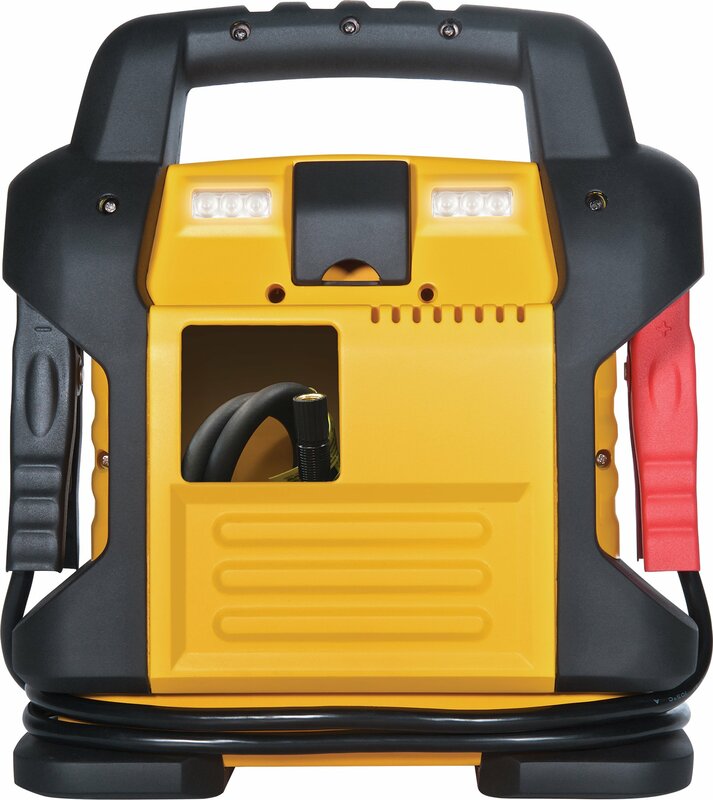 For optimal performance, the unit should be charged every 30 days when not in use. Once used, the unit should be charged immediately overnight. 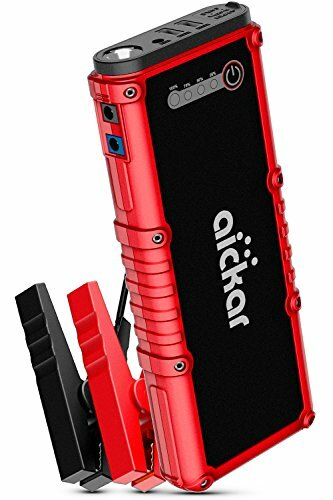 Includes a limited 1 year manufacturer warranty. Metal powder coated clamps for durability.